We are in Hellebore Heaven! 09 Apr We are in Hellebore Heaven! Got Hellebores? We do! Twelve varieties are scheduled to be delivered this week and just in time. They are beginning to unfurl their flowers in our gardens and everyone has started asking about them. 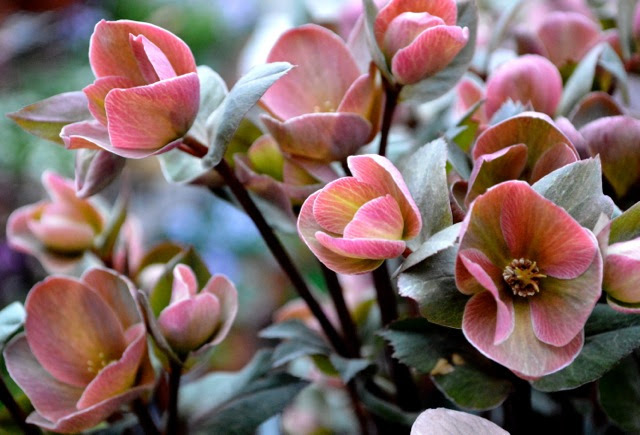 What make Hellebores so special? First of all, the are brave plants, sending up flowers despite any cold weather in late March and April. My Helleborus niger was under snow a week ago. The day after the snow melted it was up and in bloom! I almost did a double take, it was so instantaneous. Hellebores have wonderful leaves and add all-important foliage structure to the garden after the flowers have finished. At our Design Day seminar, I constantly talked about the importance of good leaves to “anchor” the garden. Flowers, although amazing, can be fleeting. But wait, besides having great leaves, Hellebore flowers last a VERY long time. Some of the new hybrids are produced by tissue culture and the flowers are sterile. Therefore they don’t produce seed and the flowers transform from one color to another over the course of many weeks, even a few months. 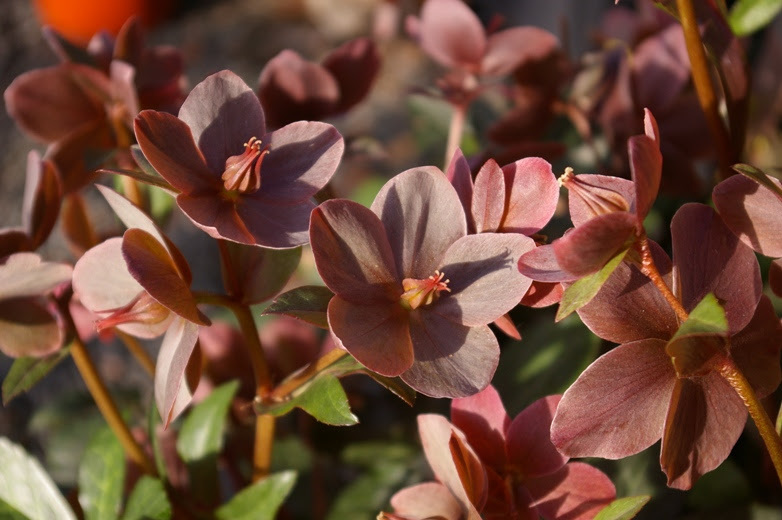 The seed strains of Hellebores also have very long lasting flowers. I pick them and put them in short little, round vases all around the house and in my shop. Hellebores can grow in a lot of shade, even under trees. They are also very deer resistant. You just can’t ask for a better perennial. They are worth every penny and are a long-term investment in your landscape. 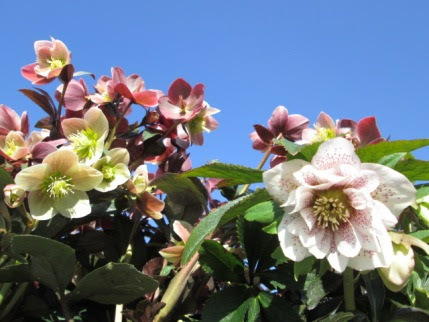 We have the best selection in April so don’t miss out, come in join the Hellebore Lover’s Society right along with the rest of us! 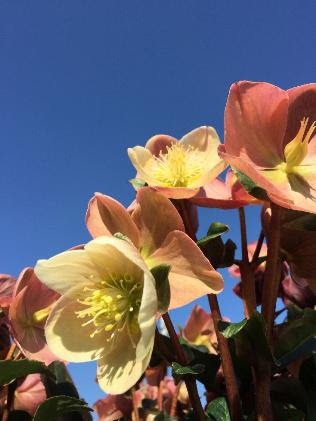 Helleborus ‘Merlin’ after a month in flower- see how the flowers change color!